AccuMail Enterprise is a suite of address verification tools specifically designed to provide the power of real-time postal address correction in multiple applications across your entire organization. 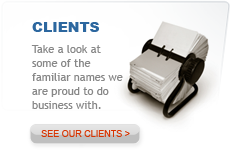 These may include Website forms, eCommerce applications, CRM systems, Shipping and Fulfillment applications and more. AccuMail frameworks validates postal addresses against the very latest USPS address database in real time, identifying or automatically fixing potentially expensive inaccuracies that occur. AccuMail Enterprise includes everything contained in our COM Object and .NET toolkits, as well as an annual subscription to the complete AccuMail frameworks product, which also provides you with powerful batch address correction functionality. Additionally, you'll get the AccuMail Move Toolkit, with unlimited annual record processing, letting you update the addresses of people in your database that move, using the very latest NCOALink data from the USPS. It works within most server environments including Microsoft IIS and Apache web servers, the only requirement being a Windows-based server to contain the AccuMail frameworks USPS® database and product engine. Eliminate Expensive Inaccuracies – It is far less expensive to correct addresses at the point of entry rather than attempting to fix the problem later. Reduce Address Correction Carrier Fees - Many carriers now charge hefty address correction fees if the address is incomplete or incorrect. A Familiar Interface – Yours! Address correction takes place within your own interface, not that of a third party. Satisfied Customers - Delayed or undelivered mail means missed opportunities. A misdirected package means an unhappy customer who may never buy from you again. Data Privacy Maintained - You host the USPS database, so we never see your customer information! 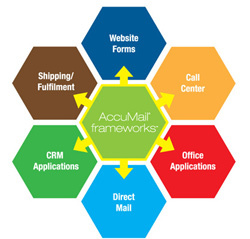 Fresh Data – AccuMail is CASS Certified for accuracy by the USPS. Bi-monthly updates ensure that your addresses are always being corrected against the most current USPS data, and unlimited NCOALink processing ensures your addresses stay up to date when customers move. Batch Correction – We also give you the additional benefit of being able to perform batch address correction of your entire existing database at no extra charge. 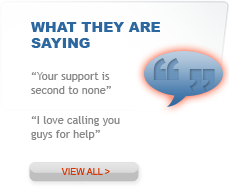 Imagine all of your existing customer data corrected with just a few keystrokes. You can download an AccuMail Enterprise brochure here. For more detailed information, or to receive a FREE sample of our .NET or COM Object Toolkits for evaluation purposes, contact us today.